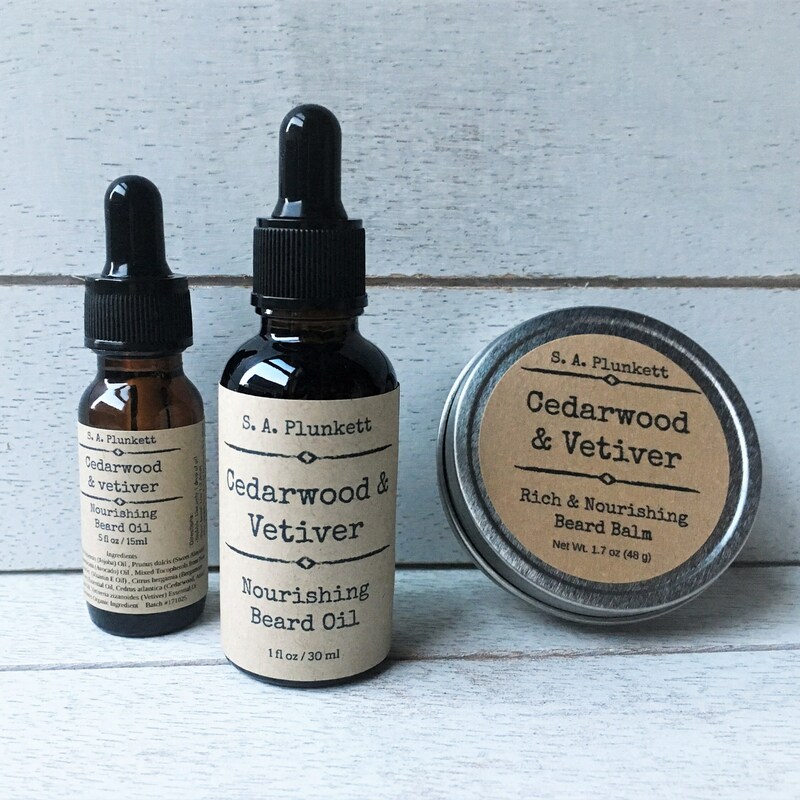 This light and nourishing beard oil has the fresh and woody scent of Cedarwood combined with the uplifting, deep and earthy scent of Vetiver, rounded out with Bergamont to add a soft citrus undertone. 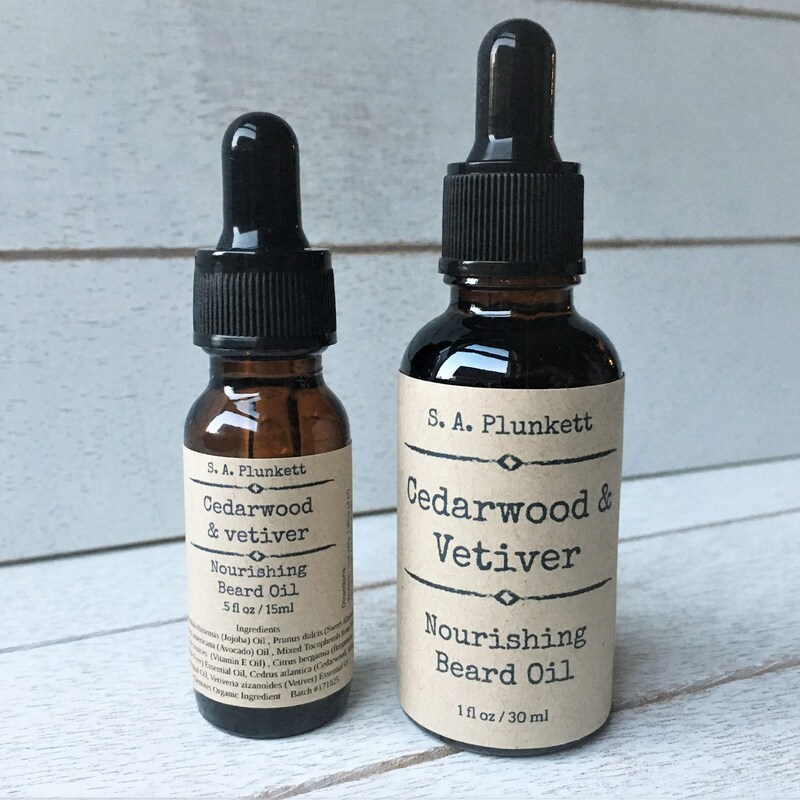 The oil readily soaks in to help create a soft, healthy looking beard. 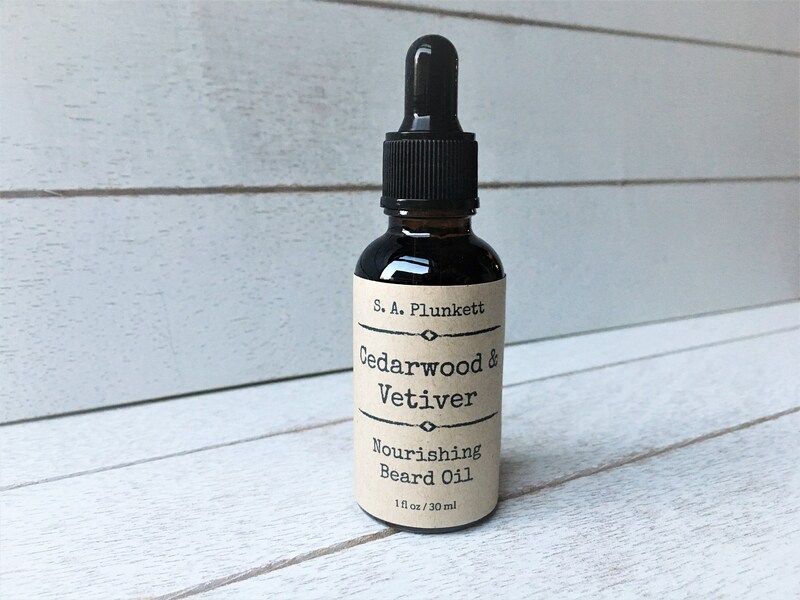 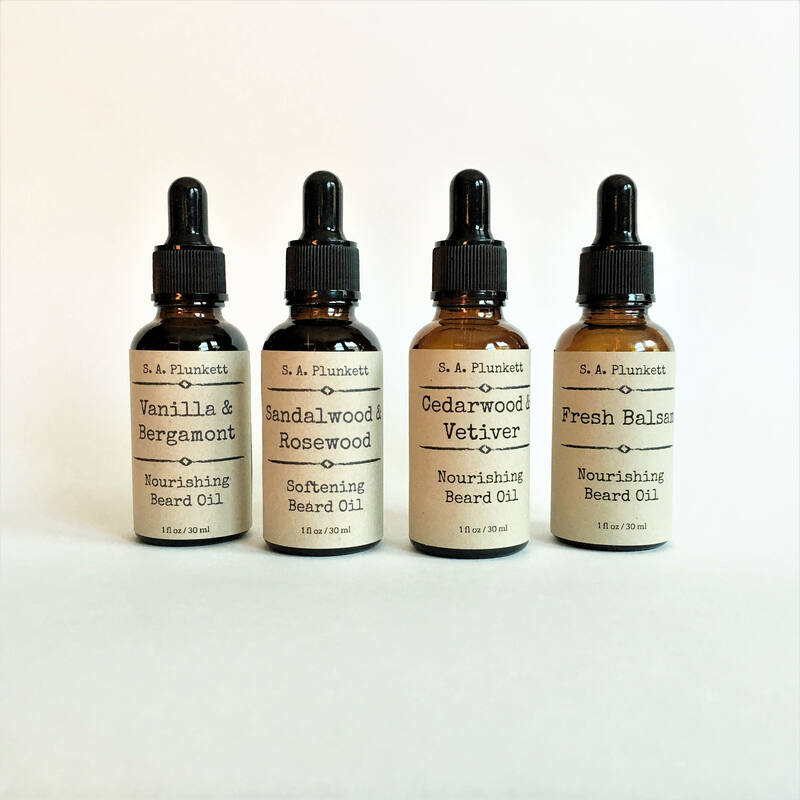 Beard oil moisturizes facial hair and the skin beneath, keeping your beard flake free and smelling fresh, while nourishing skin and relieving itchiness.